Hi! 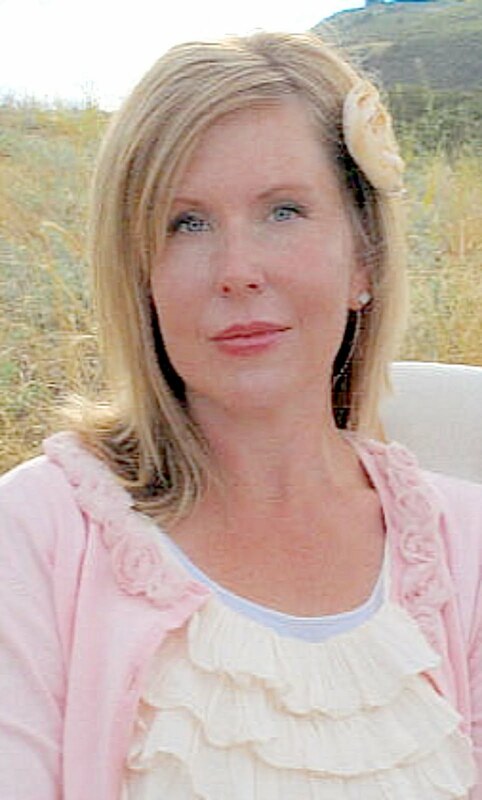 I’m Wendy Hyde author of The Shabby Nest. Here at my blog I share frugal decorating at its best - I have an eye for pretty and I love to create caviar rooms on a tuna fish budget. Before I became a blogger, however, I became a mom. But, becoming a mom was a hard-won battle. Once my husband and I decided we were ready to have children, we suffered 4 years of fertility issues. During that difficult time I pouted, ranted, screamed, cried and felt hopeless. Then finally, amazingly, we were able to conceive. And now I’m a mother to four. Four children that I am crazy in love with. With that passionate, irrational love that only a mother can really understand. They are my everything. After the birth of our youngest, our lives changed forever. He was born with a genetic liver disorder called Alpha-1 Antitrypsin deficiency. Because it is a genetic disease, our doctors urged us to have our other children tested, and we found out that two of our other three children also have the disease. Three out of four. What are the odds? We were devastated and terrified. Luckily, right now our three boys are essentially healthy and normal so I am able to push their disease to the back of my mind most of the time, and go on with life. But in the quiet moments before I fall asleep or when I first wake, the worry comes. And I hope and pray for them that the researchers working on a cure for Alpha-1 will find it. Somewhere in all this mothering and this worry, I forgot about myself. I pushed my aspirations to the back. I focused so much on being a mom, that I didn’t focus on me…at all. I have always been a creative person, so this began to take a toll on me. And I felt guilt about that, until I discovered the world of blogging. It didn’t take me long to realize that writing a blog was the perfect answer to my dilemma. I could put myself out there in the blogosphere while still remaining a devoted mom. And The Shabby Nest was born. I was amazed and elated when I started receiving comments from people who were actually interested in what I had to say! And as my readership grew, my love for my blog grew as well. I love the fact that I can share my passion for design with like minded individuals all over the world. I love the fact that I can be Wendy – that I have something that is uniquely mine and that it is appreciated by others. So I will continue to write. I will continue to share my love of design. I will continue to gain a voice. And in so doing I will continue to advocate for my boys and their disease. And hopefully, this will help me do what I can toward finding a cure for Alpha-1. Posted as a part of Project Mom for MomCasting. aaaw, wendy! we're all listening. so glad you did find your voice and can open up and share. i keep you and your family in my prayers. Your nest is so wonderful, and you do need an outlet. You are beautiful young woman, and I'm so glad you realize that you need this. I love what I've seen. You make me feel happy! This post is exactly why I love the blogosphere. We can be ourselves and find other witty, caring, charismatic and talented others to share with. Thank you for this post. Thank you for your blog and thank you for being able to be you. -and a "woof" from Weezy Woo! You must have become an even stronger and faithful woman in dealing with the emotional roller coasters over the past few years. I pray that a cure will be found soon. God bless you and your family. Great post! I always like to know more about the author of blogs that I enjoy. You sound like a terrific mom. What a hard thing to have to deal with having three children with a genetic disorder. I will have to read up on Alpha 1 a bit more and get myself acquainted with it. I have a daughter with multiple developmental disabilities - very much hidden, until she does something as simple as talk, or try to read, or do any kind of sport. etc. You take each day as it comes and learn to revel and embrace life each day and for the things you have been blessed with. And a big thumbs up to you for being an advocate for your boys. Every mom out there is right with you. We love our children uncondtionally and it seems that some of are faced with more challenges then others. As moms, we do what needs to be done without hesitation, always putting oursevles on the back burner. Being able to be just Wendy, not mom on your blog is the best thing you can do for yourself. If you don't take a little bit of "me" time, then frustration can build up and that is not good for anybody. Just like the saying - When mom's not happy, nobody is. I will keep you and your boys in my thoughts and hope that medical science can give you something postive to look forward to halt the progression or cure the diease. oh sweet wendy...i had to stop myself from skipping to the end...i was so worried you were telling the blog world goodbye! Thanks so much for sharing. My oldest has genetic kidney and bladder issue due to a malformation of her bladder and the tubes that connect her bladder and kidneys. She was sick and unable to function normally her first year of life until the right specialist at the right time came along and gave us the best gift - a diagnosis, a plan of treatment and hope for a future that I pray doesn't invovle a kidney transplant. I could identify with your post because I feel consumed by managing her illness, making sure she has the right medication, the necessary tests every six months. I've never even mentioned any of that on my blog because my blog is kind of like therapy - a little break. I so appreciate your courage and willingness to share your story because I found pieces of myself in it. We're not alone. I so enjoyed reading this post. I'm so glad this blog is your creative outlet...because I love reading it! What an amazing journey it sounds like your family has been on. Your kids are blessed to have you : ) I will definitely be keeping you all in prayer about it. Keep writing. This outlet of yours, is a portion of my outlet,, my sneak away and dream outlet! Prayers for your precious blessings! It is so nice to learn more about the person behind the blog! I have always enjoyed visiting your blog... and look forward to seeing and reading more and more. Thank you for sharing your story and I do wish you the best in working towards finding a cure for your sweet children. That was such a sweet post, Wendy. Your boys & a cure for Alpha-1 are in my prayers. Coincidentally, I met a mother on my son's baseball team just a few weeks ago whose little guy also has Alpha-1. I had never heard of it until then. Thank you for sharing a little of your personal side on your outlet and amazing blog. Hugs. Isn't blogging amazing like that? I said a prayer for your children's health and for a cure. This post made me cry!! I love you big sis. And I love all of your munchkins! You are a wonderful mom and a creative inspiration. GREAT post Wendy. My chidren aren't suffering from any disease but I too felt the need for a place of my own. That's how Treasures came about. I can't imagine how hard it must be for you to deal with your children's health issues. It's hard enough to be a parent without anything like that. I'll say a prayer for you and your family. What a wonderful post. I love how blogging gives us a 'voice'. You are a gifted,creative chicka and we are lucky to have you blogging! Beautifully written. You've expressed what so many bloggers (including me) feel about why we blog. It's self-care. You are a wonderful mother and I pray that cure will be found for your sweet boys. Thanks for sharing. My thoughts and prayers are with all of your family. What a touching post... my prayers for you and your children. I can completely relate, having two young children of my own, to putting your own creativity on the back burner. I was just recently inspired to start my own little blog. It also has to do with DIY decorating on a budget. I'm learning as I go, and you and your blog are not only a wonderful read but also a great inspiration for me! Thanks, and I look forward to more great reading. Wow - thank you for sharing this. Life has a funny way of surprising us and it seems as if you are dealing with it all as you can. Thinking of you and your boys!!! Thank you for opening up and exposing yourself to us! I know how scary it can be. I love your blog! Blogging really is wonderful isnt it? I feel the same way about my blog and readers. I still cant believe I can say I even have readers! It's such a great way to keep pieces of ourselves while stilling being great moms. I will be praying for you and your boys! What a beautiful, sweet post. I'm so glad you decided to share yourself with us. Your blog is inspiring & wonderful! As a mother I understand the unconditional, heart-overflowing love we have for our children. I hope they will find a cure for Alpha-1 and until then, may your boys remain happy & healthy. I am so glad you turned to blogging to find some time for yourself and share your gifts with all of us! I love the Shabby Nest and also love how blogging allows a mom to be around for the kids while providing a creative outlet. I will keep your boys in my prayers. I'm two out of three with autism, but since all three of mine wield power drills and sledgehammers on my blog, most people don't know. And a mental challenge is nothing compared to what you're going through. You have my empathy on that, but a huge smile from me over how you definitely over came infertility...with a vengeance. Wendy, My heart goes out to you and I commend you that you are taking care of yourself. Only this way you can be the loving, peaceful Mom your children deserve. It's so great to learn about why "we" blog. I loved reading your story. Your blog is now one of my favorites. I found you through Beth’s blog- a2z. I love you both! It's amazing what you have done with this blog in only 2 years. I love that you can do this great thing you enjoy, share it with so many others, AND still be a stay at home Mom. Kudos to you. This is not to say that I have some horrible sob story. I am just wanting to share that I love how you had this hole to fill and you found such an awesome way to do it, while also making money. I hope your boys continue to beat the struggle. We all have our struggles and some are worse than others. Reading what you wrote was a huge reality check for me. I have 3 kids and I worry like all mother's do. I especially worry about one for reasons different than yours. And when you said the quiet moments at night before you fall asleep or first thing in the morning....I can completely relate. Hang in there...positive thoughts are sent your way.